Each has its own distinctive livery – orange for trains, blue for trams, red for buses, green for bikes – centred on the distinctive WMT diamond logo. 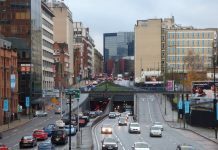 Transport for West Midlands (TfWM), part of the West Midlands Combined Authority (WMCA), has introduced the new look to spearhead the drive towards a comprehensive and integrated system for the region. 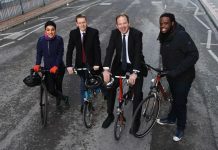 Andy Street, left, Cllr Roger Lawrence and Laura Shoaf with a tram and bus in their new West Midlands Transport livery. Mayor of the West Midlands Andy Street said: “Branding is not merely dressing, it is about more people using public transport in an easy way. “Think of the iconic red London bus – it is recognised the world over and the capital is rightly proud of it. “This is our chance to inspire a similar sense of pride and identity for people in our region and the transport links that connect their lives. “For the first time we will have trains, trams, buses, and cycles with one uniting identity which is enduring and, over time, becomes something which defines the West Midlands. “We are fortunate the stars have aligned to enable us to do this in a cost effective way. “TfWM recently took over the Metro so we would have needed to rebrand this in any case. “Similarly, rebranding was part of the new rail franchise terms and the bus companies are constantly refreshing their own branding. 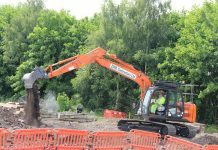 Cllr Roger Lawrence, leader of City of Wolverhampton Council and WMCA portfolio holder for transport, said: “We are building an integrated transport system that will plug into HS2 and which is critical in unlocking the economic benefits for the region. “Making our transport system look and feel like a world class experience starts with giving it a unique identity that builds trust and confidence. “The scale of public transport infrastructure investment now underway in the region gives us the perfect opportunity to rebrand and deliver services that meet the needs of residents, businesses and visitors. Much of the cost of the WMT rebranding is covered through existing schemes and contracts. 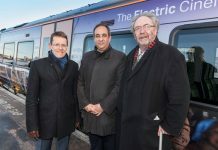 Rebranding of trains and stations was a contractual requirement when the West Midlands Trains franchise was awarded to operators by Abelio, which began operating local rail services carrying the West Midlands Rail logo last December. Metro services are operated by West Midlands Metro and run by Midland Metro Limited, a subsidiary of the WMCA which took over running the network in June. 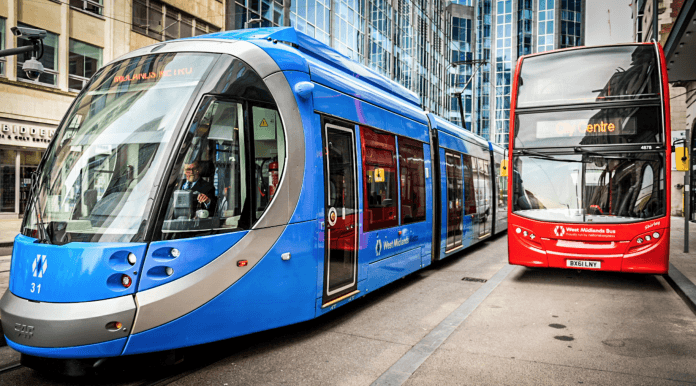 The first blue West Midlands Metro tram went into service on Monday (July 16) and the St Chads stop in Birmingham city centre was the first to be converted to the new colours and logos. Through the West Midlands Bus Alliance, TfWM is working with all operators on the use of the new regional branding. Buses operated in Coventry by National Express are expected to retain their distinctive sky blue livery but will carry the WMT logo. West Midlands bikeshare, which is scheduled to begin trials in the autumn, will see bikes and docking stations carrying the WMT bike logo. Laura Shoaf, managing director of TfWM, said the region was seeing massive investment in public transport infrastructure, with £1 billion being invested in the train network by West Midlands Railway, plus new Metro routes being built. 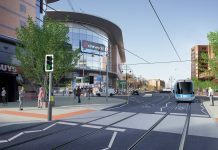 Public transport would be key for the showpiece Coventry UK City of Culture in 2021 and the Commonwealth Games in Birmingham a year later. “In 2022 the Commonwealth Games in Birmingham will see 1.5m visitors to the region who will be ticketed as part of the event to use public transport during their stay,” she said. 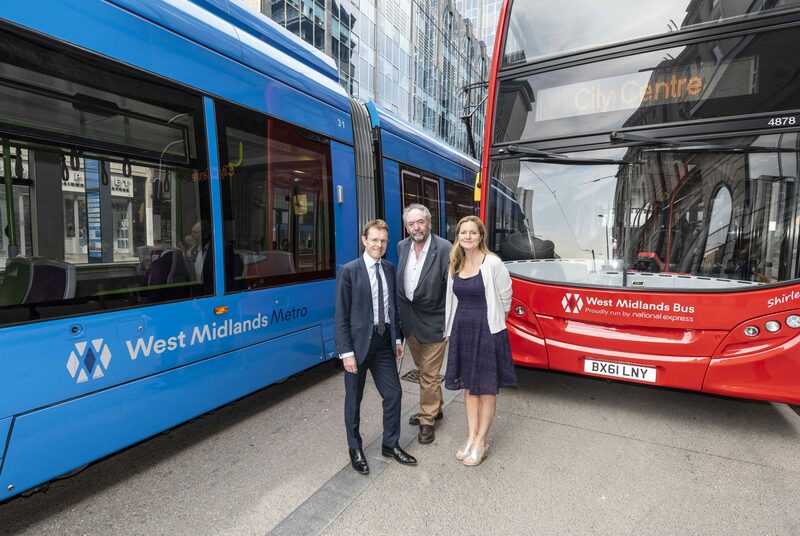 PICTURE CAPTION: Andy Street, left, Cllr Roger Lawrence and Laura Shoaf with a tram and bus in their new West Midlands Transport livery. Previous articleDr Tony Xia and Aston Villa Football Club announce deal with Middle East businessmen. Next articleMan left seriously injured after being shot in the head in Wolverhampton.